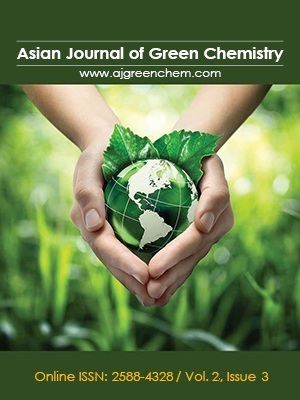 In this study, an efficient and simple procedure is reported for the chemoselctive acetylation of various aldehydes (aromatic and aliphatic) with acetic anhydride by 1,1'‐butylenebispyridinium hydrogen sulfate (Bbpy)(HSO4)2as a green and halogen-free catalyst under solvent-free conditions at room temperature. The selective conversion of the aldehydes was observed in the presence of ketones, and the deprotection of 1,1-diacetates has also been achieved using (Bbpy)(HSO4)2in water as a green solvent in reflux conditions. This procedure has valuable advantages including short reaction times, simple workup, high yields of products, absence of solvent, and use of commercially available and non-toxic reagents.